Why won’t NASCAR learn from INDYCAR’s mistake? 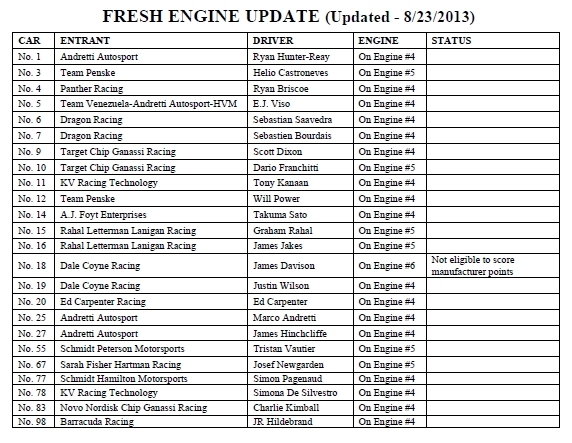 INDYCAR has released an update details the number of engines used by each entrant in the 2013 IZOD IndyCar Series season. The table provided is displayed below.